Here is H&M's take on the Christmas video. It is not as flashy and fast-paced as some but it has been directed by Wes Anderson of "The Grand Budapest Hotel" fame and certainly has a cinematic quality about it. 1. Mexican fast food chain, Zambrero, has opened its 150th store in Tamworth, NSW. 2. New retail union looks to get back penalty rates for shop staff. 3. Payless Shoes enters voluntary administration again. 4. No buyer found for Pumpkin Patch. 5. Billabong says weather has affected first half sales. 6. 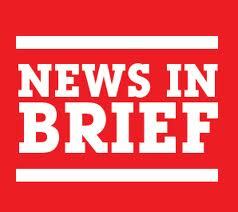 Local handbag innovator, Mon Purse, signs on with Bloomingdales. 7. Aussie Farmers expands its online super market offer. 8. Kogan launches gift cards in stores that can only be used online. 9. Woolworths admits it underestimated Aldi. Naughty and Nice Retailers - Zara, Uniqlo, and Topshop are being urged to reveal more about their sources of supply. Advocacy group Oxfam has listed those companies along with the Just Group, Best and Less, and ASOS of the U.K. on their "naughty" list. Oxfam want all major players in clothing retail to reveal where and how their goods are made so that mistreatment of employees in developing countries can be exposed. The good news is that Oxfam's list of "nice" companies continues to expand with Coles, Target, and K-Mart identified as "world leaders" when it comes to sourcing transparency. Others on the "nice" list include Cotton On Group, Pacific Brands (the owner of Berlei bras and Bonds underwear), Specialty Fashion Group, Jeanswest, and Forever New. Australian Suppliers to Feature In Aldi's China Push. - Australian goods have a favourable reputation in China which might help explain why Australia achieved a top rating in the huge multi-billion dollar Singles Day event conducted by Alibaba recently. 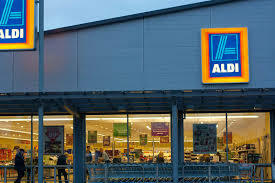 That connection hasn't been list on Aldi who will feature Australian suppliers as they launch a push into China next year. Ruslan Kogan Welcomes Amazon Arrival - the pending arrival of online giant, Amazon, in the Australian market concerns many retailers but not the CEO of kogan.com. Ruslan said this week that "a rising tide lifts all boats". He expects that the arrival of Amazon will influence more profile brands to expand their online availability, something that online players like Kogan could take advantage of. K-Mart Continues to Impress - in 2012 K-Mart's profit was $268m, by 2016 it had reached $470m and the first quarter of 2017 has seen 8% store growth. 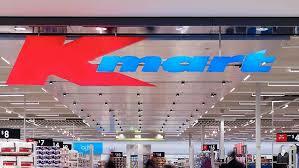 K-Mart continues to defy the experience of its competitors with key players like Big W and Target showing losses in 2016. Late Trading Friday Before Christmas – the general feel around the market is that most traders want to take advantage of this opportunity. Many commented that they have wanted to try out a night market for years and this is a good opportunity. The actual logistics and final stall placements will take some time to organise. Later Trading Thursday Before Christmas – apparently consideration is being given to later trading (4:00pm) on Thursday 22nd December particularly for food traders looking to handle the Christmas rush. General Merchandise Traders may like to be included in view of the potential trading opportunities and the lead up to late trading on the Friday. 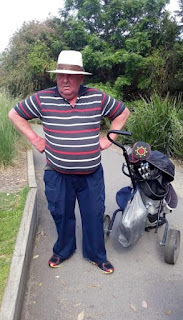 Golfing Day – apparently the annual QVM golf day was a great success although one team (who shall remain nameless) planned on coming last so they could claim the box of chocolates. They achieved the last spot but got a wooden spoon instead – justice was dealt. We understand that a number of awards were presented on the day but surely the Best Dressed Award went to the Guru. You scrub up pretty well Pete. Trader Elections – a number of current Trader Representatives have indicated they will not be nominating for the upcoming elections. One has been given an ultimatum from his wife that he has to choose between marriage and the Trader Representative Committee. He admits that makes the decision a little harder. We Are A Hardy Lot – one of our traders in J Shed believes she has broken her index finger while moving tables. The finger certainly looks badly swollen but she will wait until after weekend trading to get her doctor’s confirmation. 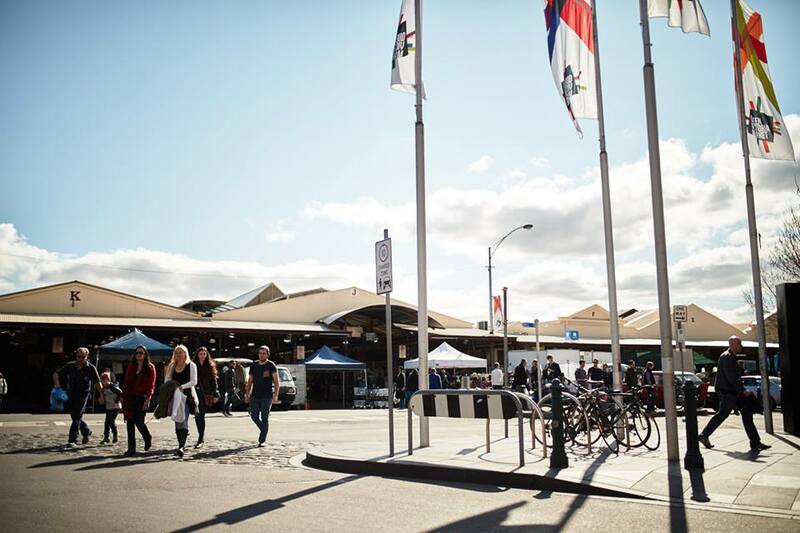 Stallholders Petition – C Shed traders are being asked to sign a trader led petition complaining about a number of issues including empty stalls and poor business. Particular reference was made to other traders turning their shed into a car park. Don’t we have rules about parking vehicles in empty stalls? 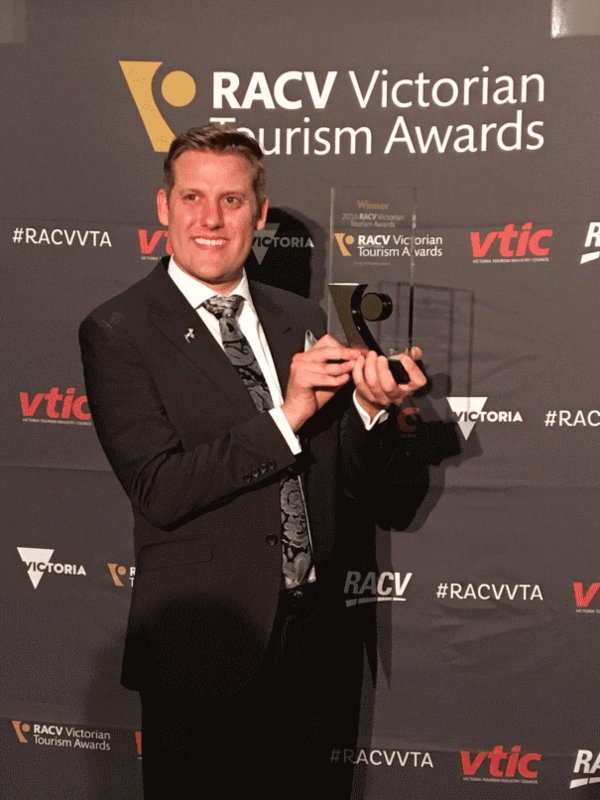 QVM's Assistant Promotions Manager, Andrew Cyples, has been recognised by his industry peers receiving the Young Achiever Award at the RACV Victorian Tourism Awards. 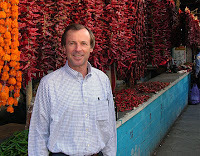 Andrew has worked tirelessly to promote The Queen Vic Market as a tourist destination. During a video interview he said he was very passionate about the market and its stallholders and he advised young people to get involved in the very rewarding tourist industry. 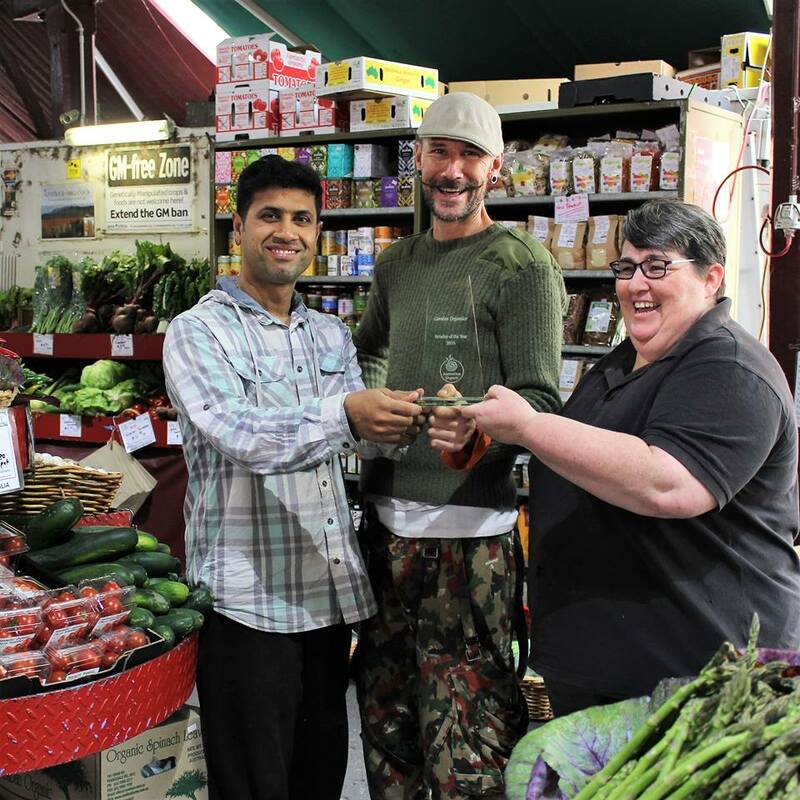 Karen Birthisel and her team from Garden Organics in I Shed have received an award as Australian Organic Retailer of the Year 2016. The Australian Organic Awards are a chance for individuals and businesses within the certified organic industry to come together and celebrate their achievements; and be recognised for their hard work and commitment to the industry. Eleven awards were issued involving excellence in manufacturing, exporting, leadership, and of course retailing. Congratulations to Karen and her team for their hard work and the excellent contribution they make to our Queen Vic Market. Bruce first published the video on his wife’s facebook page and invested less than $5 in facebook advertising promotion. He ended up with 2,800 views – not a bad result. Then QVM published the video on their facebook page which has strong following (over 50,000 likes) and in less than 24 hrs, it had reached over 5,000 views. 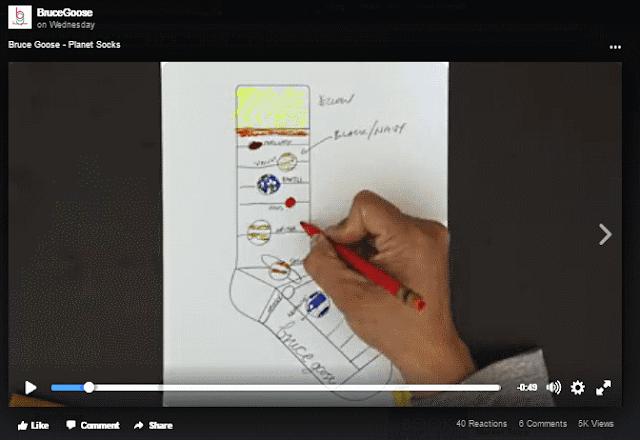 Video seems to achieve much better penetration than your standard facebook entry. Other recent trader videos on QVM’s facebook include a caricaturist, Ivano (1,800 views), and engraver Andy (2,900 views). A video of Annettes carved flower soaps has been placed on facebook today and after 1 hour had just under 300 views. The key ingredient with each of these videos is that they show the progress of creating a product, so they are not just static displays. If you can capture a manufacturing process or an interesting product activity, it certainly seems to increase the exposure. White Ribbon, The movement to end men's violence against women, is a worthy cause in its own right, but Friday’s public assembly in Queen St. is also important for wider reasons. Strangely, it was the sort of event that Victor Gruen and the inventors of shopping malls might have had in mind back in the 50's and 60's. Vienna born architect Gruen, and his contemporaries, envisioned an ancient Greece style community square when they designed the concept of shopping centres. They were to be gathering places where men in particular could socialise and mix in the middle of sprawling suburbias that lacked cultural stimulation. On Friday market traders Leah Moore and Robyn Faulkner spoke at the public gathering on Queen St. as the community issue of violence against women was highlighted. QVM had publicised the event on social media earlier in the week and Robyn Faulkner did the rounds of the market on the day ensuring that as many traders as possible were wearing their white ribbons. The combination of all this activity ensured that an important social issue received due public attention. 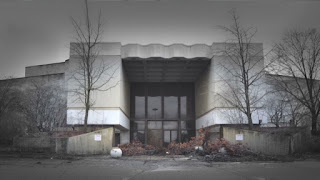 Victor Gruen was a socialist and he became very disillusioned as consumerism took over the mall concept. The glut of empty shopping malls today in the US is seen as an eerie reminder that the world got it wrong when it focused on consumerism and lost its connection with the human community. Public markets are inherently tuned to community issues. You only have to listen to people like David O'Neil to understand the importance of embracing and enhancing community involvement. It is no accident that city planners and strategists have included public spaces including a Market Cross in QVM Renewal plans. Events like Friday's are important reminders of the influential role that public markets can play in our society. 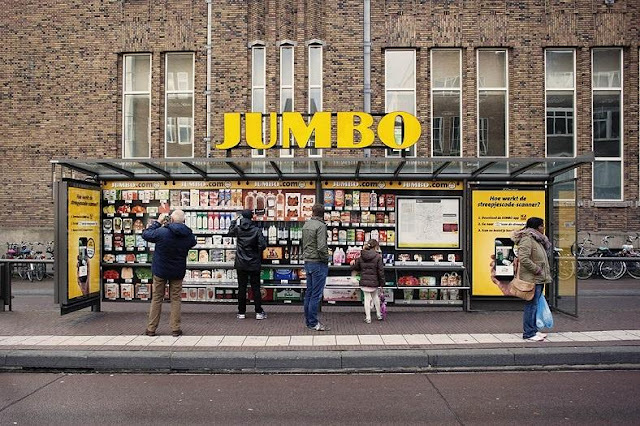 This particular one was promoted by the market, allowed traders to show their humanness, and connected with customers in a different way. It ticked lots of boxes. 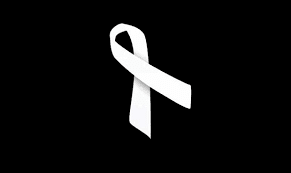 27/11/2016 21:04:01 White Ribbon Day "We totally agree White Ribbon Day is very important for QVM. Praise must go to Phil Cleary who came up with the idea for the event over a month ago. As we all no Phil has campaigned for over 30 years against violence against women and he shared a personal family story at the event about the murder of his sister. Also N.U.W President Caterina Cinanni provided a very interesting speech. Greg as you are a elected trader representative it would of been nice for you to attend. Unfortunately you were conspicuous by your absence. Regards The team at S.T.A.G. " Team at S.T.A.G. 1. Businesses warned to step up security after thieves raid Officeworks store. 2. Australian shoppers expected to spend $48b this Christmas. 3. Gerry Harvey blames “short sellers” for Harvey Norman share price fall. 4. Liquor giant, Lion, sells off Australian wine brands to Hardy’s. 5. Big W’s CEO resigns. 6. Domino’s lands world’s first genuine pizza delivery by drone. 7. Spaghetti made from seaweed could reach supermarket shelves. 8. Jeanswest, UGG Australia, Swisse, Macro, and Blackmores help Australia reach fourth spot on Alibaba’s Singles Day record turnover. 9. Australia Post to trial extended delivery hours this Christmas. 10. Research suggests that brand loyalty by Australian consumers is falling. 11. Myer debuts new look department store at Warringah Mall. 12. Myer increases sales for fifth straight quarter and shares rise 14.4%. 13. Pizza Hut officially takes over Eagle Boys chain and starts transition to its own brand. 14. Kathmandu expects to match last year’s sales. 15. McGuigan Wines named world’s best winemakers for fourth year in a row. Xenia's Progress –one of our traders visited trader Xenia (Sonia) Charalambous in hospital during the week. Xenia suffered a stroke at the market back in August and she is undergoing rehabilitation treatment. Xenia’s daughters are continuing to operate her stall on a restricted basis. In the meantime Xenia asked to express her thanks to management, box hire operators and her customers for their understanding during her recovery. Xenia is an active person and no doubt finds bed confinement rather frustrating but apparently she is looking well and sporting a trendy new hair cut. We wish Xenia well. Confusion Over Late Night Trading Christmas Friday. – details of the special arrangement for 9pm trading on Friday 23rd December have been released and some confusion has arisen. One trader was concerned that he would have to move his stall at 3:00pm to take part in the special late trading but that is not the case. Traders are being asked to declare whether they wish to trade late on the Friday. Those trading late will be in the one spot for the whole day and as far as possible that will be their normal stall. Traders who wish to leave early will be located at the Peel St. end of the market so as not to disable normal trade closer to Queen St. when they leave. Boxes will not be allowed in the aisles between The Walkway and Queen St. until 9:00pm. A considerable amount of effort will go into promoting this special night and for many reasons it is in every trader’s interests to make it a success. Having said that, there is much to work through, and it will assist all parties if any questions or concerns are raised and dealt with as soon as possible. 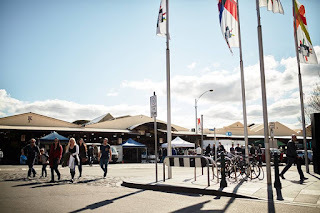 Wednesday Night Trading – the first night of the Summer Night Market on Wednesday was anticipated with some trepidation because last year’s first night was disappointing. We are pleased to report that most traders experienced good trade on Wednesday. The Summer Night Market is off to a good start. QVM Annual Report – traders will have received a copy of the Company’s Annual Report and there is much to read through. One of our traders went straight to the financials and noted the rather small profit (down from $364,272 to $39,848) but that rental income actually increased which suggests that trader number have not changed a great deal across the market. We will leave more considered evaluation of the figures to traders with more expert financial minds. 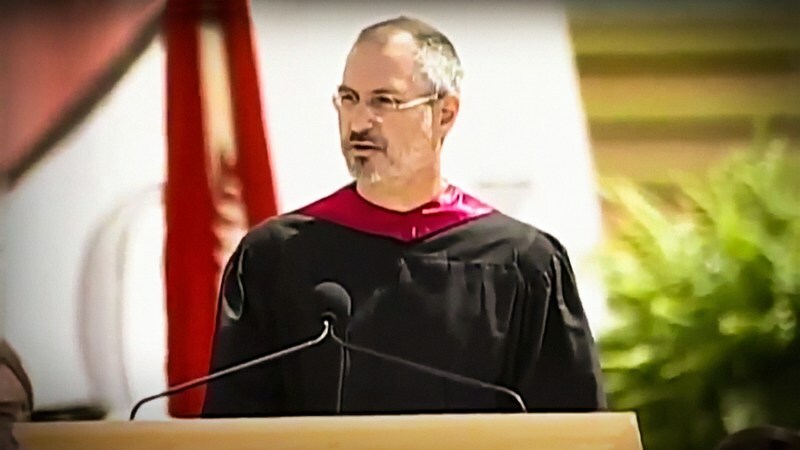 Steve Jobs made many famous speeches and has been quoted many times but his speech to Stanford University graduates in 2005 could have been written for QVM Traders. Possibly the single biggest difficulty for traders is uncertainty about our future. We are constantly asking management "What are your plans? ", "What is going to happen in the next few years and how can I best prepare or how will I be protected?" Unfortunately it is difficult to get definitive answers to those questions. Plans are still being evolved, and a market renewal has many unknowns, particularly in the middle of a retail revolution. 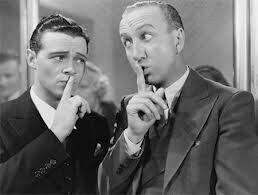 Traders have unknowns, management have unknowns and city designers have unknowns. We are all entering into a brave new world of uncertainty similar to Steve Jobs as he embarked on re-defining personal computers with the Apple Mac. “You can’t connect the dots looking forward, you can only connect them looking backwards, so you have to trust that the dots will somehow connect in your future. You have to trust in something – your gut, destiny, life, karma, whatever. Sometimes we need to trust that genuine effort, professional application, and perhaps an element of luck will help us achieve great things. There is no shortage of talent amongst traders, management, or city planners as we work together for a successful outcome. In 10 years time we will be able to look back and say "So that is how the dots joined". In the meantime we can only trust. The post you see below was put on QVM's Facebook page last Tuesday 15th November. Within 8 hours it had 394 likes and an astonishing, 359 comments. That is a serious social media reaction. When we checked today the post had nearly 700 likes and over 600 comments. What products have you got that could be presented to Communication Coordinator, Angela Shen for facebook exposure? 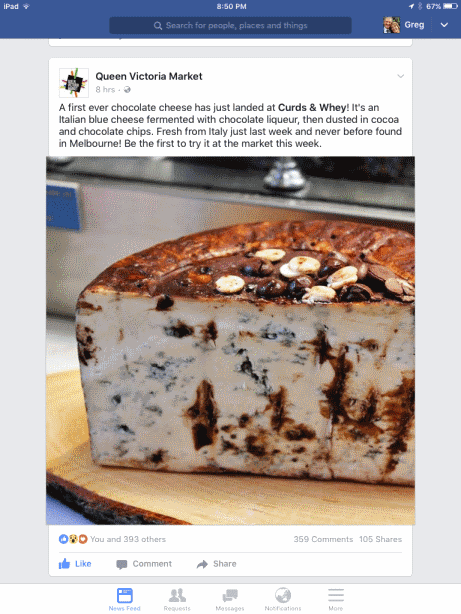 Chocolate Cheese is obviously a winner, at least when it comes to attracting attention. This week’s Trader Bulletin announces the upcoming elections for a Trader Representative Committee and the excitement has already started. Victraders has received a list of promises from a candidate which bears a striking resemblance to the recent US Presidential campaign. It contains promises that can’t be kept, attitudes that can be described as “redneck” and some very questionable solutions to problems at our market. This submission is a joke but the election of course is quite serious and we look forward to some real discussion over coming weeks. 1) We're going to deregulate the market. Creating a free and open marketplace. Putting control back in trader’s hands. 2) We're going to bring manufacturing to the market and locally made products back to the market. 3) We're going to create jobs by filling the market with more and more of the same traders. 4) We're going to give the jobs back to Australian traders. Our traditional generational traders, the Italians, Greeks, Polish and Russian. 5) We're going to stop all the money going to the Food area and the elitist night market. We will demand a proportional share of the budget in keeping with our contribution to revenue. 6) We're going to lower rents and fees - easing the financial pressure on struggling traders, the backbone of this market. 7) We're going to put a trader on the board of directors. Ensuring simple solutions to complex problems. 8) Finally, we are going to build a wall in Queen Street and we are going to make food pay for it. How Amazon Plans To Disrupt Australian Retailing. There is much speculation about Amazon's entry to the Australian market and the possibilities will have significant impact on Australian retailers including public markets. Amazon is famous for its huge share in the online retail market and more recently they have engaged in bricks'n'mortar expansion. The Age this week examined a store model for the Australian super market industry that could see Amazon smaller format stores, similar to Aldi, that stock a selection of items that customers want to physically examine like fruit, vegetables, meat & fish. Other staple items like dry and canned foods would be ordered from a touchscreen or app. The technology could be something like what is shown in this photo below. This is a recent innovation in Finland where grocery items can be purchased from a giant screen at a bus stop. It is suggested that Amazon would operate regional warehouses to handle the remotely ordered goods and given their fast delivery expertise (one hour delivery in some places) customers could even have their dry goods on the doorstep by the time they arrived home from shopping. There are significant cost benefits for smaller store operators in rent and staffing expenses so the profit ratios for Amazon look very attractive. And smaller doesn't necessarily mean less choice. Amazon Fresh, the online grocery service in the US has 500,000 products versus tens of thousands in traditional super markets and less than 1500 at Aldi. Amazons penetration into the Australian market won't all happen at once although given the lead time needed to prepare for this sort of competition, and the pace of expansion already seen in other countries, it is likely that Australian retailers will hardly have time to blink. McDonalds To Introduce Table Service. 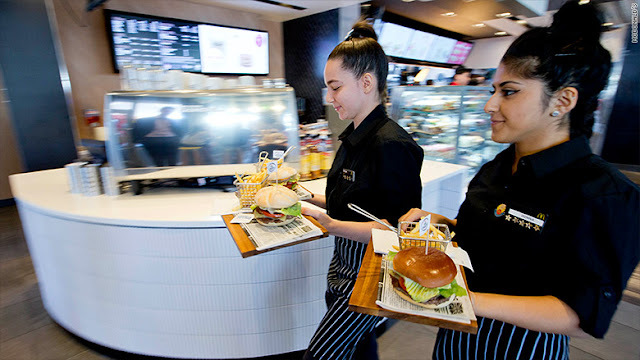 In a move to offer greater service to its customers, McDonalds US is planning table service in some of its restaurants. It is all part of a move to stay at the forefront of customer relevance. McDonald’s chief executive Steve Easterbrook recently told CNBC - “For the best part of our 60 years we’ve asked customers to fit around our business model. 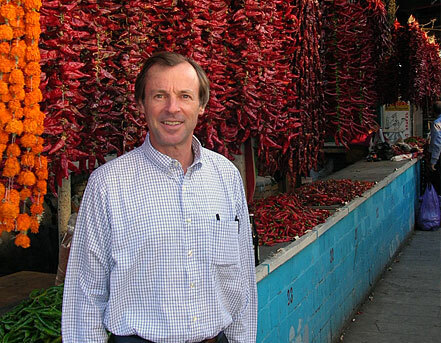 Now customers are more demanding and we are looking to adapt our business." McDonalds are expecting some difficulties adopting the new service starting with staff attitudes. A culture based on "you come to us" will have to become "we come to you". In the very competitive fast food industry, other players will no doubt be responding. Pizza Hut have already announced plans to upgrade their in-house restaurant facilities. This week's Age newspaper has reported a slow down in clothing growth for David Jones and reduced sales for its stablemate, Country Road. Apparel clothing retailing is at the mercy of seasonal fluctuations and the owner of these two retailers is looking for solutions. 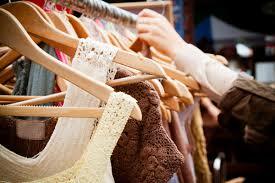 A slow start to Winter followed by an almost non-existent Spring has caused headaches for most clothing retailers. The slow start to winter meant that stock had to be cleared through sales and of course that reduces profit. The answer to the seasonal fluctuations may come from online retailers who address the dilemma of selling to different parts of the globe in different seasons all at the same time by offering middle of the road clothing that crosses all season types. An item of clothing that can be worn in summer but, with suitable accessories, also translates to winter wear may be the answer for clothing retailers generally. In one sense QVM clothing traders have a similar clientele to the online retailers. It used to amaze me how my next door neighbour at the market selling fur coats would do lots of business in January, one of our hottest months. She explained that she was selling to locals who were travelling over to European winters or to Europeans looking to buy a fur coat before heading home. The high number of tourists in QVM's customer base does give us unique conditions. For general clothing It is clear that the old excesses no longer apply. We know that consumers have reduced their spending on household "stuff" (items we can do without) and now they are challenging the adage of slavishly buying new season fashion. Just one more complexity in the world of retailing. 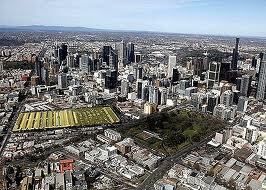 The Queen Vic market has the single biggest market project in the world right now. That is according to international market expert, David O'Neil, as he continues his explanatory sessions on Melbourne radio, this time with Neil Mitchell this morning. David also said "You already have one of the greatest markets of the world... there are now some opportunities (the renewal) to cement that." If you missed yesterday's trader presentation from international market expert David O'Neil at the Ibis Hotel you may like to listen to his discussion on ABC Radio with Jon Faine the same morning. There is a link below. As you would expect, Jon Faine asks the right questions and David O'Neil expresses a range of interesting views about market renewals and how they relate to the Queen Vic Market. Here is the link to the broadcast. Whether you are on a PC, tablet or mobile phone you will see a slider at the bottom of the screen. Tap on about halfway along the slider and you will find the interview with David. It actually starts about 1hr 6mins into the broadcast. UK department store, John Lewis, already has a reputation for great Christmas ads and their 2016 offer is certainly up to standard. One of our prime roles as a market is to provide service and convenience to our customers. Given that The Queen Vic Market is a top tourist attraction in Melbourne it has been a major inconvenience to send customers down to Elizabeth St in the CBD to get their currency exchanged. 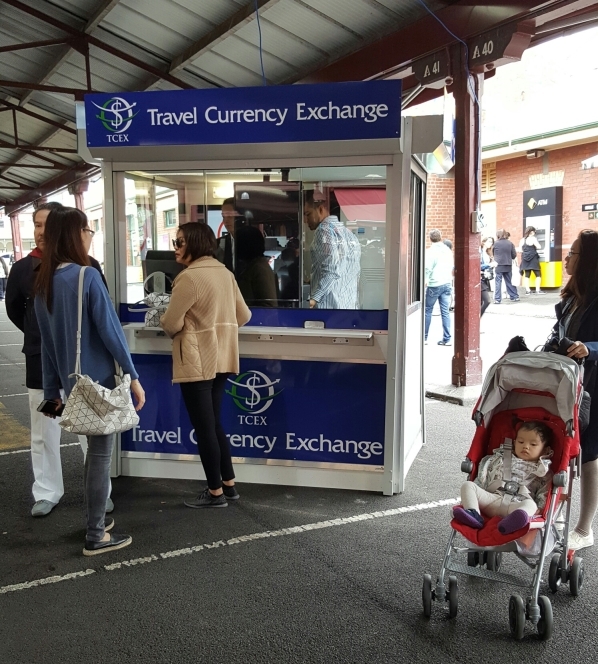 QVM now has its own currency exchange booth in A Shed and we certainly hope that the service proves to be a regular part of the market offer. 13/11/2016 17:17:22 Money exchange "Might be nice if there was some sort of signage to say we have a money exchange and where to find it. Most stall holders didnt even know it was there. " Good point. I think you will find it has literally just arrived this weekend so expect some notice in the next Trader Bulletin. - Ed. so may be best positioned near the news agent or better still incorporate it into the visitor center at F1. Good ideas from a Hall of Fame recipient. Thanks Karl. - Ed. Can We Ever Believe Another Poll? How Pike Place Market Looks After Its Traders.